Today I sanded the bedroom floor in preparation for glueing down the ply sheeting that will be the finished floor. Not really a big deal but I thought I might share how well the Festool dust extraction works when sanding. For this I used the Festool RO150 hooked up to the CT36 vacuum. This system is fantastic as you will see. I hate sanding but this system makes sanding almost pleasurable. No dust. 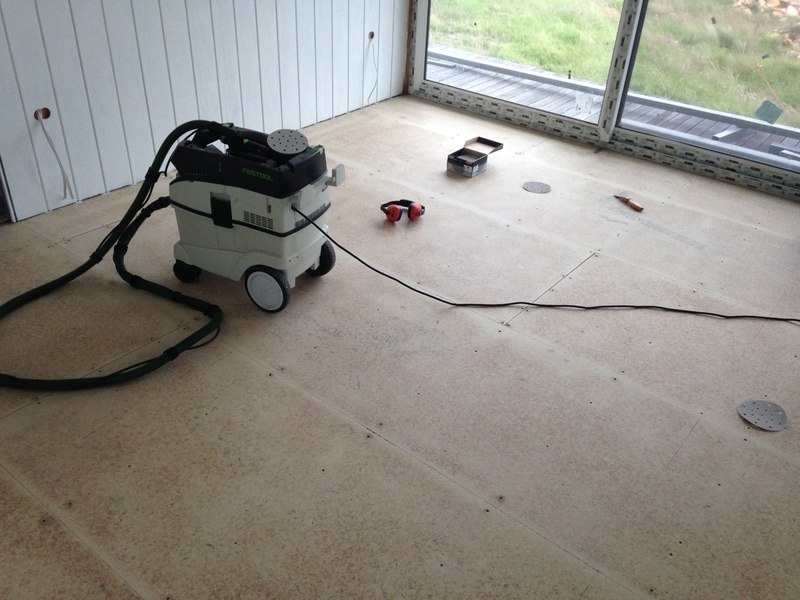 It is great being able to sand a whole floor and not have to sweep or clean dust of everything afterwards. 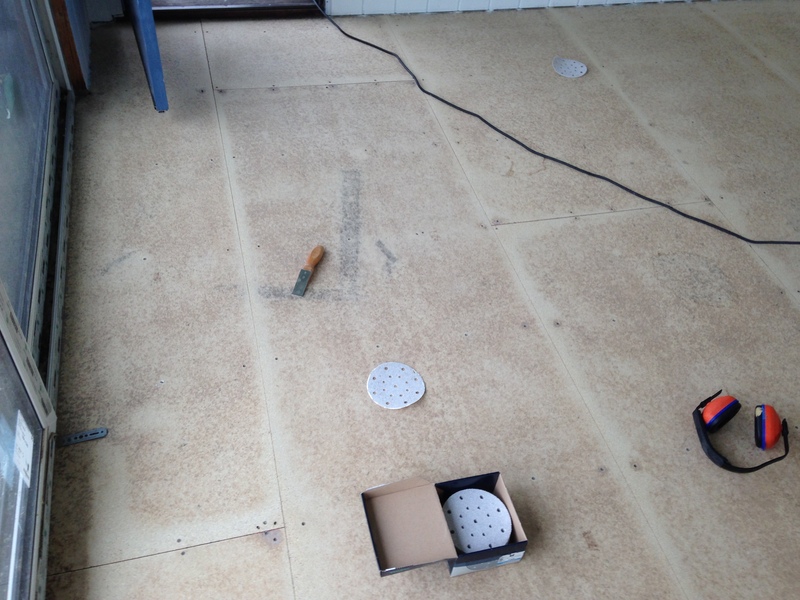 As you can see the floor is probably cleaner after sanding than before I started. Here is some pics after sanding the whole floor. Nary a spec of dust. It is a real time saver barely having to clean up not to mention the health benefits of not having dust everywhere when you are working. Festool is not cheap but it does work exactly as advertised and is a joy to use. Worth every cent I think. 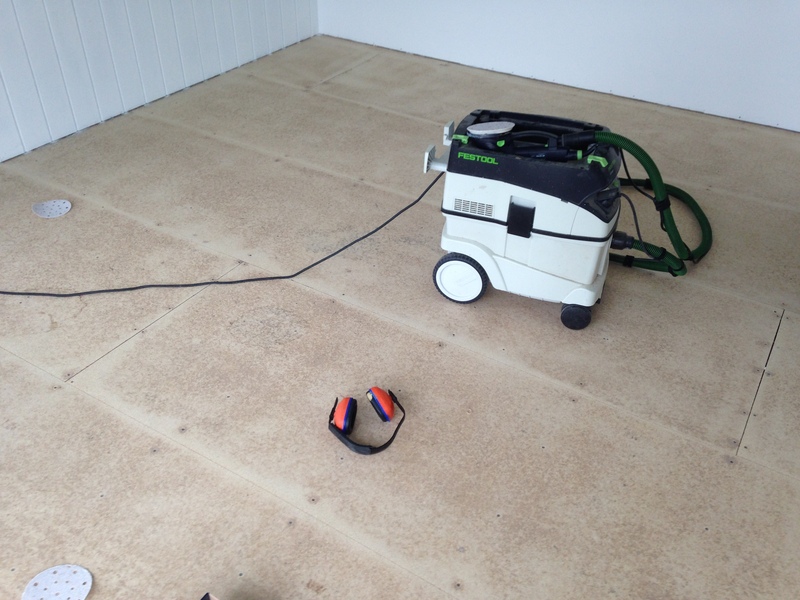 This entry was posted in Cool Tools, House and tagged Dust extraction, Festool CT36 Vac, Festool RO150. Bookmark the permalink. 2 Responses to Bedroom Sub Floor Preparation. Health Benefits ? I think the horse has bolted Mr Robb AKA Mr Avtur Styvesant Pro-Seal. I think there is probably some asbestosis from that RAAF hanger in store for both of us also.